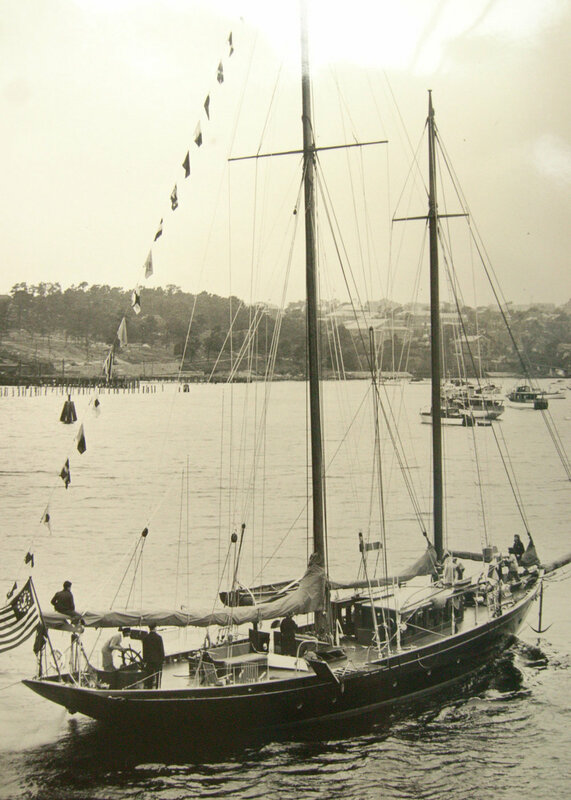 Schooner Ladona has been known for her beauty, swiftness, and strength since the day she was christened in 1922. Elegantly designed by William Hand, she was commissioned by Homer Loring as a private yacht and launched out of Hodgdon Yachts in East Boothbay Harbor, Maine. They don't make them much more beautiful than this. Named for the U.S. Naval gunship upon which Loring’s father served during the Civil War, Ladona cruised the eastern seaboard, raced occasionally, and was much beloved by the Loring family. In the 1923 Bermuda Cup, she proved her mettle as an ocean racer when she took first place in her class. Her namesake, the USS Gunship Ladona. Cruising with the Loring family. What a catch! Helen Bird Loring at the helm. During World War II, she served her country as a submarine patrol vessel with the U.S. Navy out of New York Harbor. After the war, she was renamed Jane Doré and worked as a fishing dragger out of Stonington, Connecticut. Serving with the US Navy during WWII as sub patrol. In 1971, she was renovated as a sail-training vessel and taught young sailors the ropes under the name Nathaniel Bowditch. 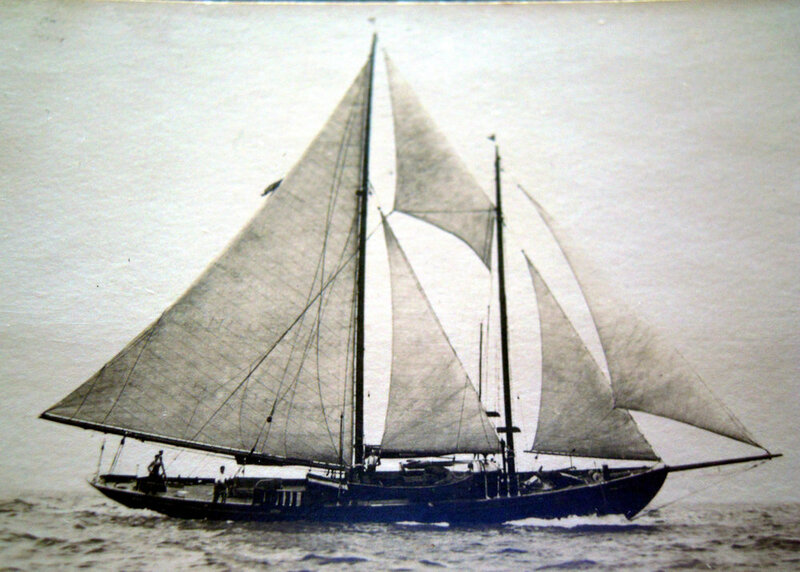 Eventually she entered the Maine Windjammer fleet and carried vacationing passengers up and down the coast of Maine. Forty years later and in need of repair, her undeniably exquisite design captured the hearts of Captain Noah and Jane Barnes. Over the course of two years and under their loving stewardship, Ladona was fully restored to her original yachting glory and name.